The last Newsletter delicately asked if there was anyone ‘out there’ willing to sponsor the sixteen new bogie bearing pads for 70759’s overhaul – an important element of returning this vehicle to operational use once the work at Bewdley is completed. Much to our surprise – and very great pleasure – every one of those exciting bogie bearing pads is now sponsored. And this was done at a speed that beats even Mr Mark Allatt's efforts on the new-build P2! 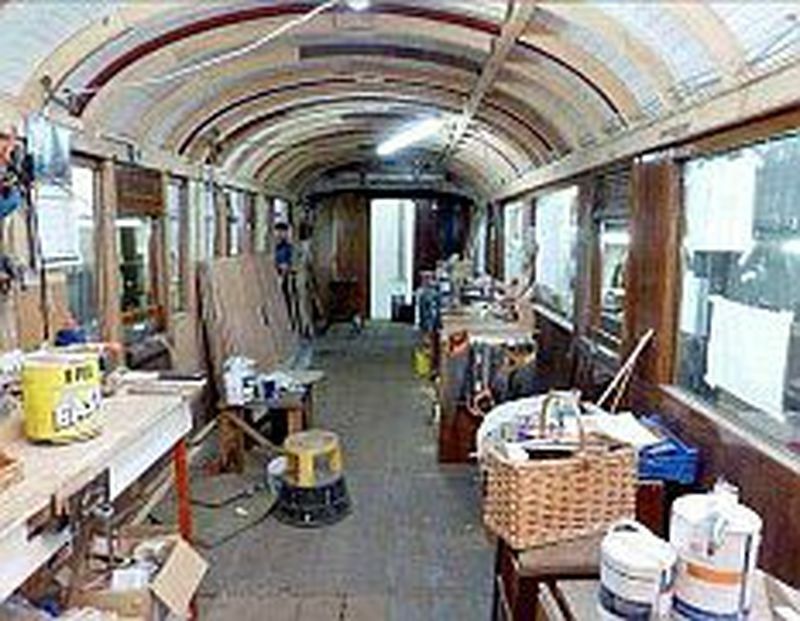 On 30th January 2014 the Severn Valley Railway Charitable Trust marked the mid-point of its £75k restoration project for this 1943-built ex-London & North Eastern Railway (LNER) Gresley-designed Gangwayed Brake Pigeon Van. The occasion was an informal ‘roll-out’ at Bewdley Station after completion of the vehicle’s new roof. This substantially completes the vehicle’s exterior repair, restoration and reconstruction. Among the invited guests were Nick Paul, Chairman of Severn Valley Railway (Holdings) PLC and a trustee of the SVR Charitable Trust, Tim Godfrey, local Shropshire resident and grandson of the Sir Nigel Gresley, to whose design the carriage was built. Mr Godfrey is also a Vice President of the LNER (SVR) Coach Fund and of the Gresley Society Trust and David McIntosh , Chairman of the Gresley Society Trust. Also present were several supporters of the project, the workers who have built the new roof, and other representatives of the SVR Trust. Progress with the 70759 Roof Project – It's dark inside now! The LNER (SVR) Coach Fund acquired BGP 70759 from the South Devon Railway and moved it to the SVR in 2005. 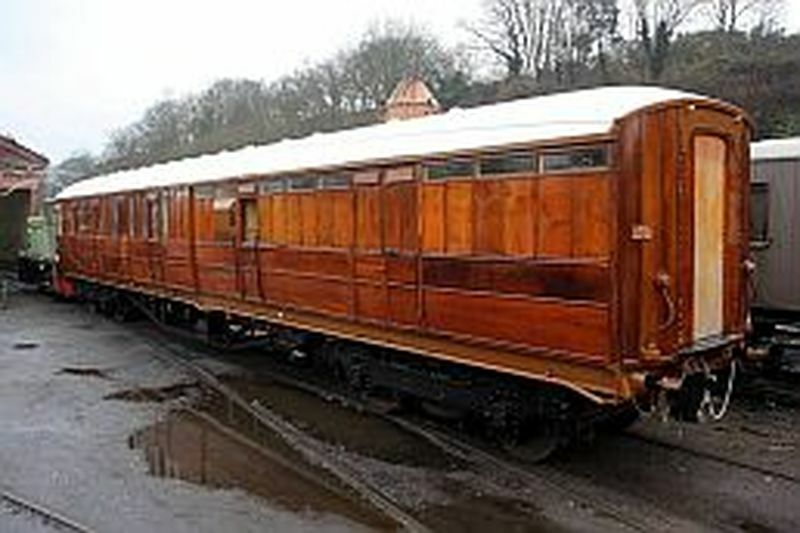 The carriage’s ownership was subsequently transferred in 2010 to the Severn Valley Railway Charitable Trust. BGP 70759 is a full brake vehicle with guard’s compartment and fold-down racks intended for the transport of racing pigeons. It was part of a final 1943-build of Gresley carriages, and could thus be the newest Gresley survivor. Though designated as ‘pigeon van’, when built in the middle of the Second World War such vehicles were urgently needed for heavy volumes of war-time traffic and for the D-Day Allied Normandy landings. Among their rôles was transport of injured forces’ personnel to UK hospitals. 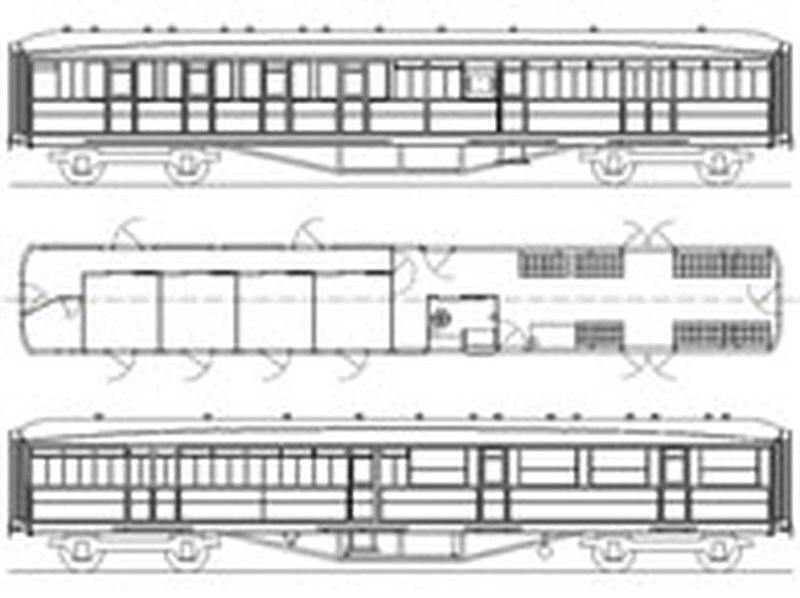 We do not know 70759’s full history, but similar carriages were used in ambulance trains both here and in Europe. At least one carriage of this LNER design was in the very first US Army ambulance train to enter Germany with the Allied Forces. Similar vehicles were also used in ambulance trains to bring wounded troops to the United States Army Hospital at Burlish, on the now closed section of the SVR south of Bewdley. Withdrawn from BR in 1972, 70759 was used as a store for publishers David & Charles at Newton Abbot, becoming a familiar sight to passing main line passengers. Twenty years later it moved to the South Devon Railway at Buckfastleigh, again being used as a store before its purchase and move to the SVR. On arrival at Bewdley it was converted (in an easily reversible manner) to serve as the station shop while the LNER Fund volunteers restored GWR 1145 to fill this shop rôle. The SVR has identified a need for a second brake vehicle in the LNER teak set to cover repairs and maintenance needs. The Railway also wanted the second brake vehicle to have revenue-earning capacity. 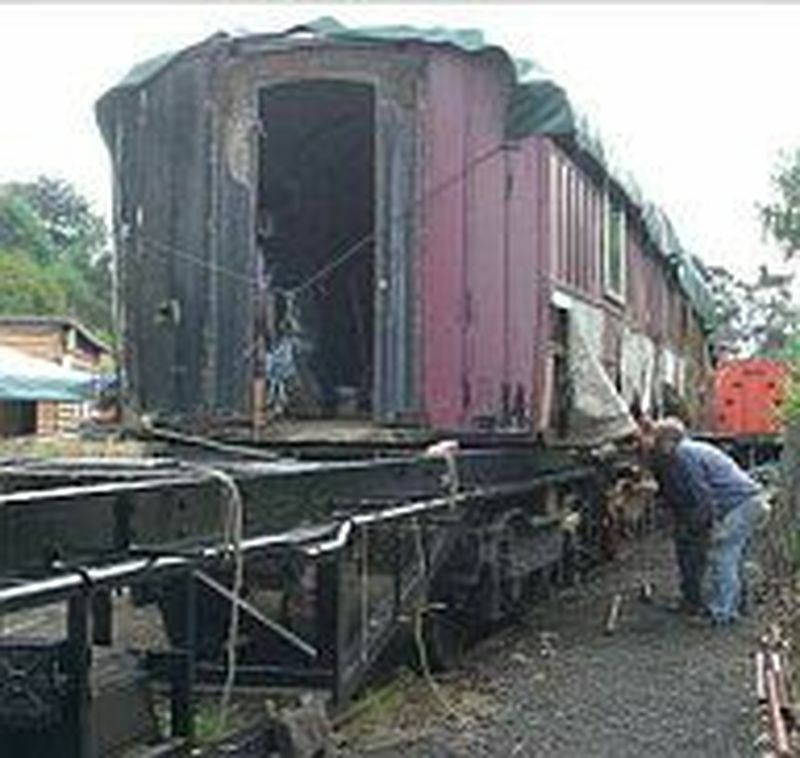 Although several potentially suitable carriages survive in preservation, all are either in use or would require expensive repair and restoration before they could run on the SVR. So the Coach Fund drew up plans to convert 70759 to a Brake Third (BTK) broadly based on LNER Diagram 114. Subsequent transfer of 70759 to Trust ownership allowed for tax-efficient fund raising not available to the Coach Fund. 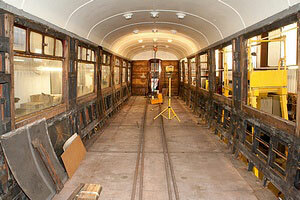 The Trust, through its LNER Carriage Group, is now implementing this £70k project to meet the Railway’s needs. 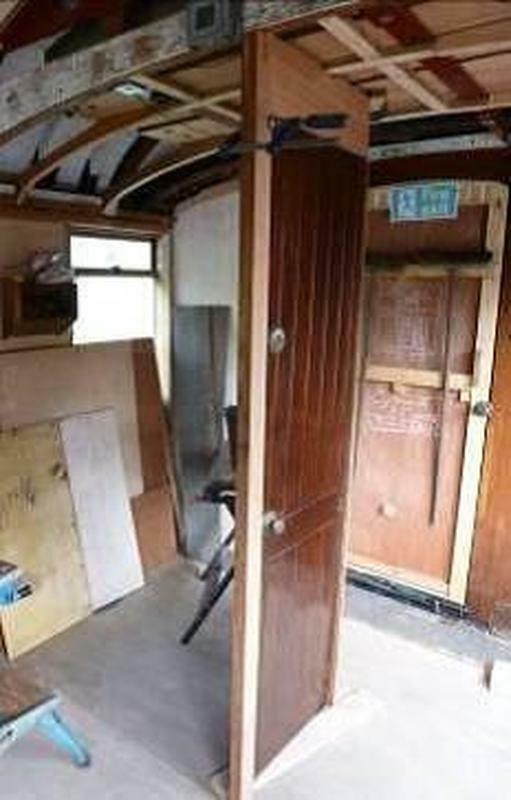 The ‘short’ van end and guard’s compartment (about half the vehicle length) is being overhauled and restored to original condition with its authentic pigeon racks, reflecting times when pigeon-carrying trains were a significant railway traffic. The ‘long’ van is being converted to provide four passenger compartments, as the best option taking account of traffic needs and the available spares. ‘Significant sponsorship’ is needed to help with this major project. 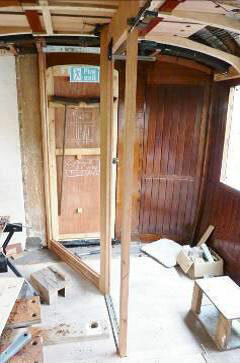 One element has been acquiring sufficient teak to complete the exterior panelling. This rarely available wood is expensive and has cost £10k. New flooring to deal with the redesign and replace wood damaged by woodworm will probably cost some £5k or more. A further unwelcome development in the project was the realisation that a new roof was necessary to deal with the effects of rusted fittings which had compromised the existing timbers’ integrity. At the time of writing (summer 2013) this work is in progress at Bewdley with the help of some generous donations and a grant from the Severn Valley Railway Guarantee Company. The project is making good progress at Bewdley with the aim of having the completed carriage running in the SVR’s wonderful LNER Gresley ‘Teak Train’ by around 2017. The project featured in Michael Portillo’s ‘Great British Railway Journeys’ when he visited the SVR in 2012.